The Best of Books Book Club meets the last Monday of every month from 7 to 8 p.m. at BOB, 1313 E Danforth Road in Edmond, OK. The club, led by Carol Casey, now has at least 45 members. Carol, a retired media director and archivist, has facilitated the group for nearly 15 years. Members of the club since its beginning include Marsha Zweibel and Marcia Allen. Members love the club so much that they even stay with it after moving to another state; Marcia now lives in Colorado! Books discussed range from classics to biographies to current bestsellers. The club also serves as the host at BOB for special presentations from noted authors. For example, national Agatha Christie Award-winning mystery writer Carolyn Hart has spoken to the group in the past. Kent Frates, author of “Oklahoma’s Most Notorious Cases,” a LOCAL BESTSELLER, also presented to the group in March 2016. December 2015/January 2016: Winter of the World, by Ken Follett. February 2016: Under the Wide and Starry Skies, by Nancy Horan. March 2016: The Storied Life of A.J. Fikry, by Gabrielle Zevin. April 2016: The Lowland, by Jhumpi Lahin. All Best of Books Book Club members get 15% off their club books. To join the fun, contact Carol Casey at ccasey0527@sbcglobal.net. At least 20 other area book clubs are registered with Best of Books. Those club members whose leaders register with BOB also receive 15% off club books they are reading. Pageturners, First Methodist Church, Oaktree YaYa’s, Oaktree Bookworms, Memorial, First Methodist, Edmond Reading, Books & Culture and Ashford Oaks now have books registered for 2015. 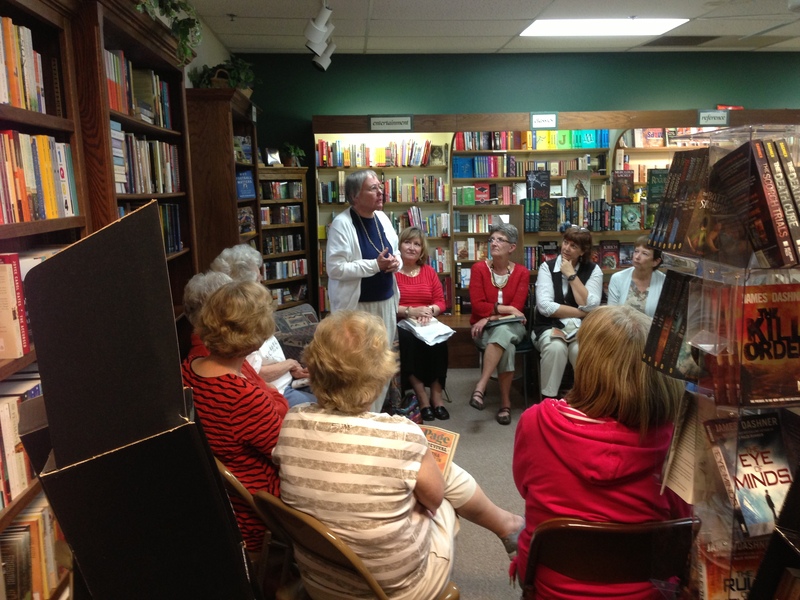 If you are a book club leader, contact Best of Books at 405-340-9202 to become a registered member!